A leak from earlier this month hinted at Google’s Pixel 3a and Pixel 3a XL going official in May. Now, the search giant itself has teased May 7 announcement for these mid-rangers. Google has set up a page on its online store promoting the upcoming Avengers: Endgame movie. The page has a big “G” logo in purple shade with “Help is on the way.” written underneath. 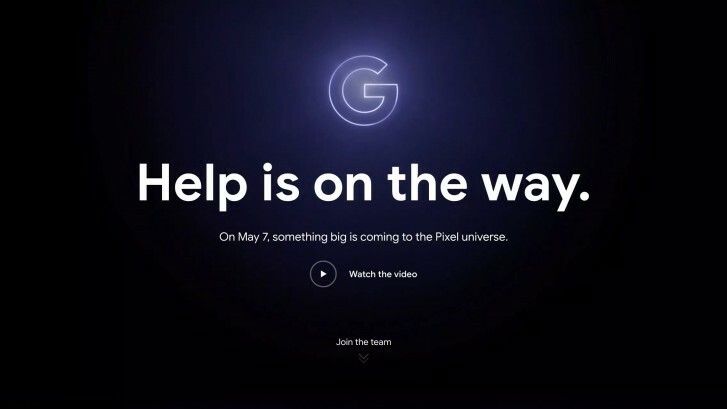 It also has text that reads “On May 7, something big is coming to the Pixel universe” which hints at the announcement of the Pixel 3a and 3a XL on the said date. Google hasn’t divulged much about these upcoming Pixels, but thanks to previous leaks, we know that both the 3a and 3a XL will sport FHD+ displays and pack 4GB RAM. The Pixel 3a will come with a 5.6-inch screen whereas the 3a XL will boast a 6-inch panel.